I imported questions from the excel template into my question bank. The slides are nicely laid out on a plain white background. However, I have a quiz template with graphics, layers and triggers that I would like these imported questions to populate to. Is it possible or do I have to edit every slide? 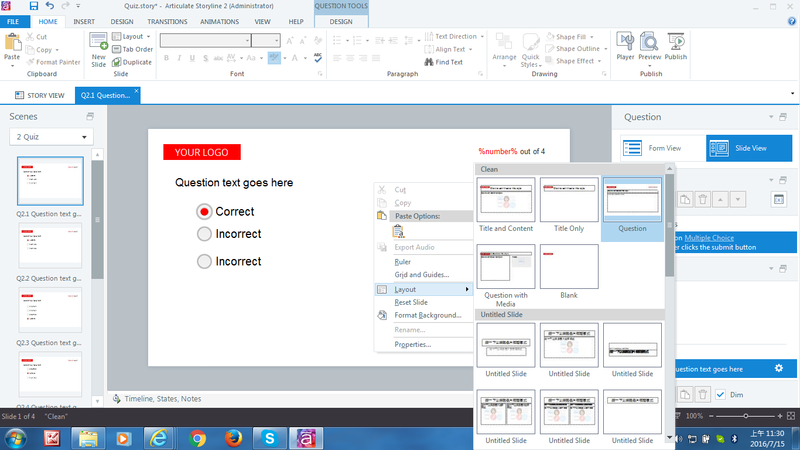 Hi Connie, you can import questions into that template or you can edit your graphics, layers, triggers in your master slide. If you have done above and still find them on a plain white background (not the layout it supposed to be), you may check out if they are in the layout you want by right clicking on the slide. "Hi Connie, you can import questions into that template or you can e..."